Step Away From the Salt Shaker!!! Salt. It truly enhances the flavor of some foods. 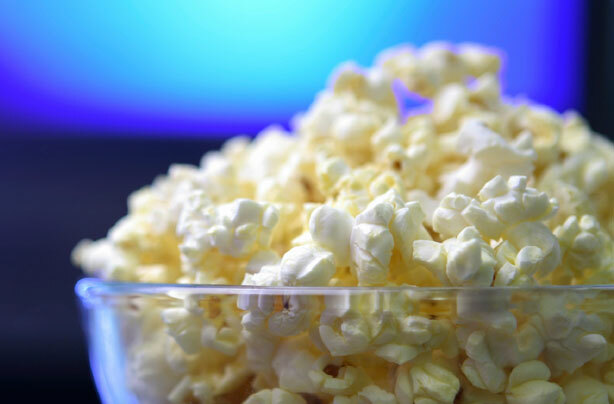 Can you imagine eating popcorn without it? What about a dill pickle or a handful of peanuts. Some things are just better with salt. However, too much salt can be harmful to your health. In this final installment of our three-part series, on cutting the sugar, fat and salt in our diets, we’ll share simple ways to help you cut the salt. We want to emphasize that we are not medical professionals. We are three women who have the same struggles as everyone else, when it comes to trying to live a healthier lifestyle. Refill your coffee and find out what you need to know about hidden sodium in foods and simple ways to reduce your intake. If you are one of those people who never adds salt to your plate, that’s great, but you could be unintentionally eating more salt than is healthy. The human body needs sodium to survive but eating too much salt can cause serious health problems. 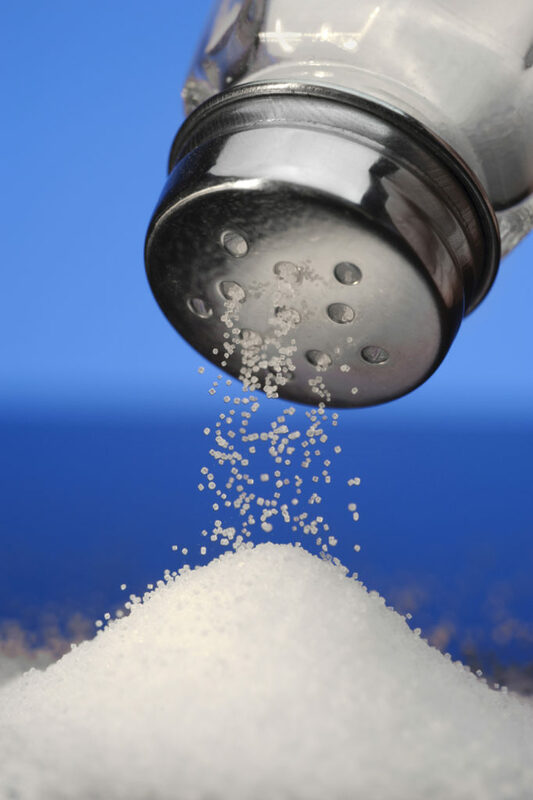 According to the U.S. Department of Agriculture, the overconsumption of salt is becoming increasingly common in the American diet. The most well-known side effect of too much salt is high blood pressure. An excess of salt causes blood vessels to constrict, which is dangerous because the heart is required to work harder to pump blood throughout the body. Some people assume that high blood pressure goes along with aging, but it doesn’t have to be that way. Blood pressure creeps upward as people age due to the long-term consumption of too much salt. 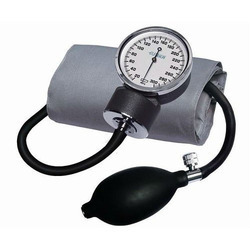 Prolonged high blood pressure increases the risk of heart disease, heart failure, stroke, and kidney disease. Another side effect of too much salt is edema (swelling of the feet, ankles or hands). 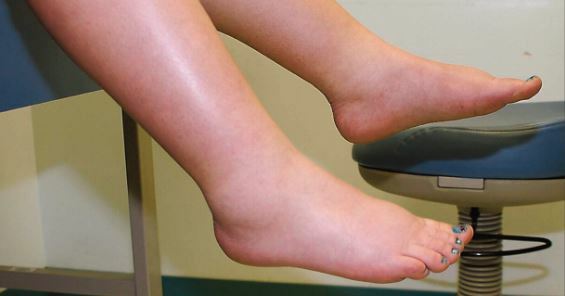 Edema occurs when the body retains excess fluid in an attempt to balance out the extra sodium. These are serious health problems and none of them sound like very much fun, plus health care isn’t getting any cheaper. So we’re going to share some simple ways to cut back on the salt in your food without sacrificing flavor. Putting down the salt shaker will help, but most of the salt Americans consume (almost 80%) comes from packaged and processed foods. Some foods, such as potato chips and pretzels, are obviously salty but some foods are hiding way more salt than you’d think. These foods can be high in sodium even if they don’t taste salty: frozen foods, canned or pickled foods, snacks, deli meat, cheese, breads, cereals, regular soda, diet soda, condiments, sauces and salad dressings. What about sea salt? It’s usually marketed as a “natural” and “healthier” alternative. However, what people should remember is that both sea salt and table salt have the same amount of sodium by weight. 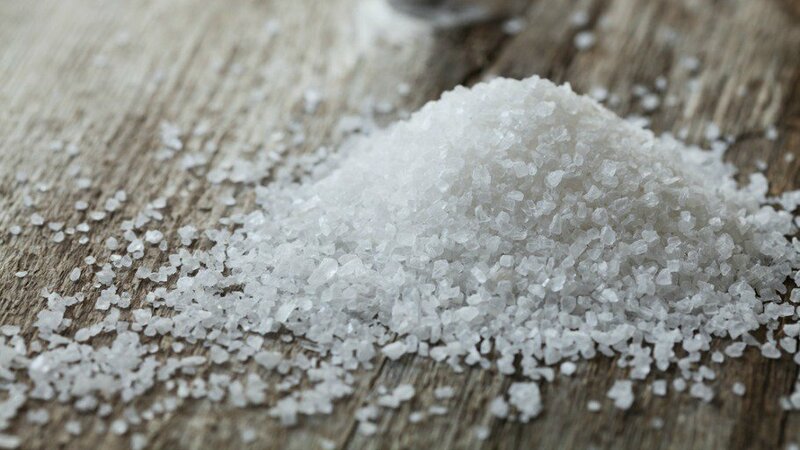 Sea salt tends to taste stronger because its crystals are larger, which may make you use less. So, how do you know if you’re eating too much salt? Become a label reader. When you’re making dinner, read the label on all the ingredients you’re using. Add up the milligrams of sodium and you’ll have an idea of how much salt you’re getting in one meal. Another way is to compare labels at the grocery store. Sometimes there’s a big difference in the amount of sodium in different brands of the same product. You may be pressed for time and need to get in and out of the grocery store as quickly as possible, but we encourage you to set aside some time to go and carefully read labels. Your health is very important. Take pictures of labels with your phone to help you remember which items are lower in sodium. Use frozen vegetables instead of canned. 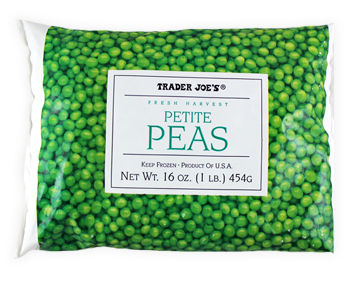 There are 290mg of sodium in a 1/2 cup serving of canned Green Giant sweet peas while there are 10mg in a 2/3 cup serving of Trader Joe’s frozen petite peas. Sometimes you just have to use canned tomatoes in recipes. Use the “no salt added” variety. 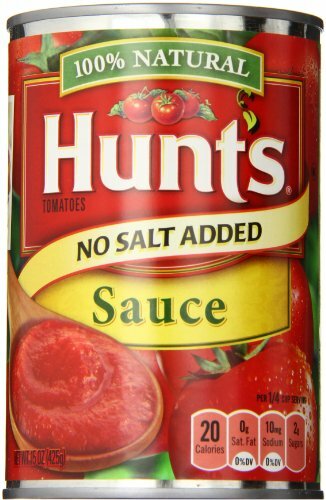 Hunts 100% Natural tomato sauce contains 410mg of sodium in a 1/4 cup serving, but there are only 20mg in Hunt’s “No Salt Added” tomato sauce. Breakfast cereal is a another place sodium may be hiding. 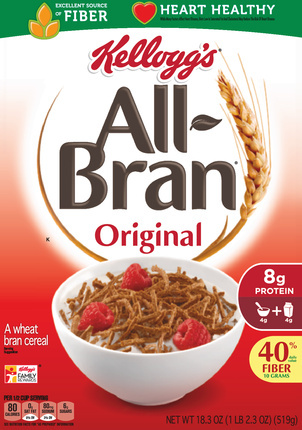 Kellogg’s Raisin Bran has 210mg in a one-cup serving, but Kellogg’s All Bran has 80mg of sodium in a half-cup serving. Add your own raisins. Watch out for canned or packaged soups. These paragons of comfort food can send your sodium intake through the roof. 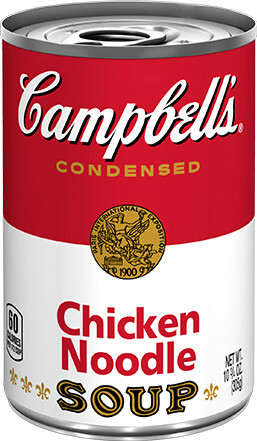 Campbell’s Condensed Chicken Noodle soup contains a whopping 890mg of sodium per half-cup serving. Who only eats a half cup? You may be better off making your own soup with “no salt added” broth, of course. We could give many, many more examples, but you get the idea. Read the labels and take charge of your health. Your family and friends love you and they want you to stay healthy for a long time. At a burger place, load up on veggies instead of condiments. At a pizza place, ask for less sauce and cheese, and order a veggie pizza with no meat. At a sub place, skip pickles, peppers and olives, and add fresh veggies instead. At a Mexican place, choose corn tortilla and veggies, no sauce, no refried beans and no taco meat. Join us next week for a taste of New Orleans at the 8th stop in the Hidden Gem Restaurant Challenge. I have appreciated your articles about sugar, fat and salt in our diets. I’ve especially had to cut sugar from mine and have been amazed at the products that contain sugar! Just as with salt, items that you would never think sugar would be hiding inside…DO have sugar hiding inside! Appreciate you taking the time to focus on such important issues, in addition to lovely places, restaurants, people, and history!